Hello to everyone, my name is Umberto, and I am a professional driver. I’ve been living in U.S.A. for 12 years; after which I came back in my home land, where I’ve spent the last 15 years working as a driver for private tours and transfers. I find my job rather fascinating, especially when returning from a tour and customers are excited about what they have visited. 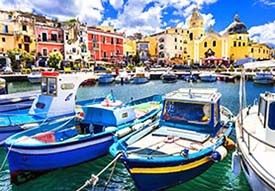 Are you interested in seeing wonderful places such as Pompeii, Sorrento, Amalfi, Positano, Ravello, Herculaneum, Paestum, the Royal Palace of Caserta, the Vesuvius, or would you rather visit a town where your ancestors lived? Together, we could arrange a beautiful day-long trip. I know all the most beautiful spots for taking some good pictures, we could have lunch together, or I would recommend you one of those typical local restaurants we have, where food is good and prices are moderate. Alternatively, I could give you some advice on our countryside inns, where they also serve home-produced wine. 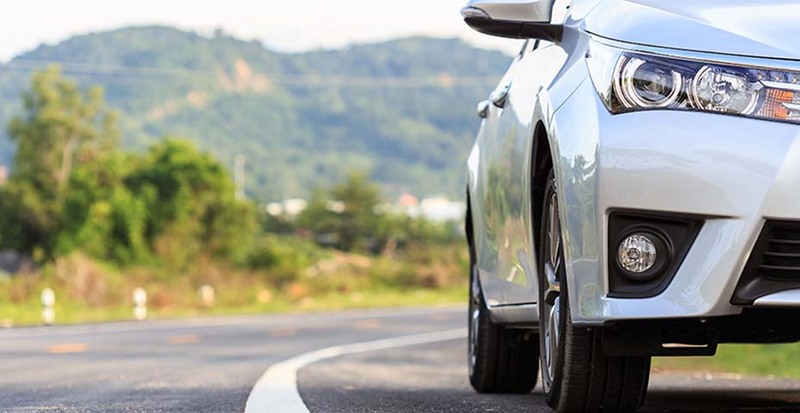 With your private driver you will be able to request a wide range of transfers from airports, train stations, ports and accommodations, with the possibility of choosing and customizing the tours according to your needs. 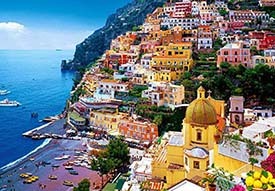 We used Italy Driver in Sorrento on our first port of call from a cruise ship. Umberto made our trip so wonderful! He is delightful, knowledgable, and witty. We had a fantastic day in Sorrento with him. We will fondly remember Southern Italy and our driver even more special! One highlight was singing Italian songs with him as we drove along the coast! We highly recommend Italy Driver and Umberto! I wish we could give more stars! Umberto took care of everything for our family when we requested a custom half-day tour. He was prompt at pickup time in old Naples with a Mercedes van with a booster seat for our kid, taking us to the top of Vesuvius before the crowds got there. We went for a hike up to the crater and back, then he took us to the Sorrentino vineyard restaurant for a lunch/wine tasting and back to Naples. It was like chatting with an old friend the whole time, and he was sweet with our kids, a very careful driver, passionate about his work, and wanted to make sure we were happy with everything. Very good guy named Niko drived us along amalfi coast. Wait us at port at exactly time and was a very nice driver, guide and company. Dont miss him!!! Great day in a great city! We were on a Mediterranean cruise with Naples being our first stop. Umberto picked us up at the port and we were off for a day of adventure! 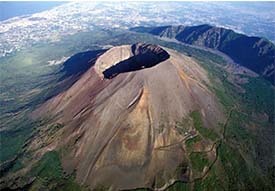 We stopped at a local pastry shop for espresso and croissants and then it was on to Pompeii. After, he gave us recommendations for lunch. 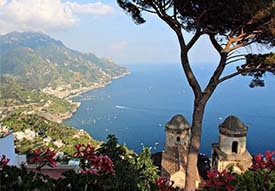 We chose to go to Sorrento and ate at a wonderful restaurant with spectacular views of the Mediterranean sea. We would've gone on to Positano from there but my daughter wanted some shopping time in Naples before having to get back on the boat. Umberto was knowledgeable and super friendly. He made our day in Naples one to remember. If you're looking for a guide while in Naples, Umberto will not disappoint! We used Italy Driver during our stay in Praiano. We took a day trip to Pompeii. Our driver, Domenic, was fantastic, safe and knowledgeable of the area. We couldn't have asked for a better driver. Highly Recommend! Outstanding Experience - Can't Recommend Highly Enough! I can not recommend Umberto and his team highly enough. They made our visit to the Naples area unforgettable, easy and fun. Umberto was extremely helpful while I was trying to plan our trip, offering suggestions and counsel. He was always friendly and positive even when we made a major last minute change due to weather concerns (over Christmas weekend, no less!). Communicating with him was very easy - in fact, within minutes after my initial online request HE telephoned me in the US. We ended up booking a pickup from the airport, full day in Pompeii & Herculaneum, 1/2 day driving tour of Naples and a full day through the Amalfi Coast and then to Paestum. Drivers Dominico and Pasquale were always prompt (usually early!) and the vehicles were very comfortable and clean. They were both just wonderful and shared their knowledge and love of the area freely. Dominico was very kind and patient when we left Paestum very late, and he was still willing to convince us to stop for some local Mozzarella di Buffala. He also recommended we stop at Reggia di Caserta (north of Naples) because we would pass by it when we drove to Rome on our own. It was a true hidden gem and we never would have thought to stop without his recommendation. Our guide for Pompeii and Herculaneum, Andrea, was VERY knowledgeable and so much fun. He really brought the ruins and eruption to life for us. Everyone's English was extremely good (I felt embarrassed by my Italian but they helped with that, too!). We were a family group of 6 ranging in age from 25 to 91. Everyone we interacted with from ItalyDriver.com was fun and interactive but also incredibly helpful and respectful to my father and his mobility issues. I would use this organization again in a heartbeat.